I want your hugs, I want your kisses, I want you, all of you. All I need is your hugs and kisses to get me through the hardest days. My dear, let me hug you tight. When you hug me back, the feelings of bliss and peace rush over me … I need that. The best feeling in the world is when you hug me with your arms, your mind, your heart. I love you. 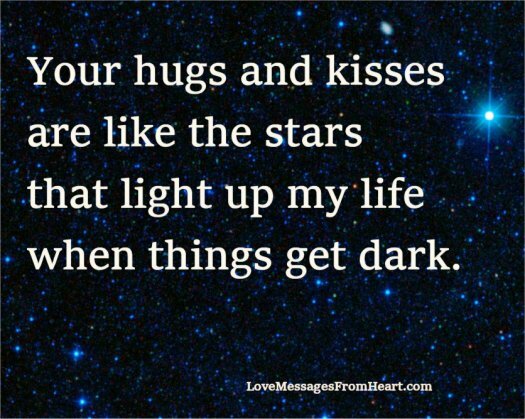 I love these hugs messages.